As we approach the release date of several new handsets such as the Note 8, iPhone 8, and LG V30, consumers look forward to the high-end performance and features they will bring. But Lamborghini seems to think you'd rather pay $2450 for a smartphone with specs comparable to a device from last year. Yes, Torino Lamborghini has made another luxury handset, following on from 2015’s 88 Tauri and Antares. The Alpha-One is made from the "finest materials, including handcrafted Italian leather and a liquid alloy developed specifically to resist corrosion whilst remaining lightweight." If you’re paying around three times the price of today’s flagships, you would expect the Alpha-One to have some impressive hardware. Sadly, Lamborghini obviously believes the name and materials are enough to convince people to hand over the cash. Here’s the full spec list, which is remarkably similar to the $400 ZTE Axon 7 from 2016. 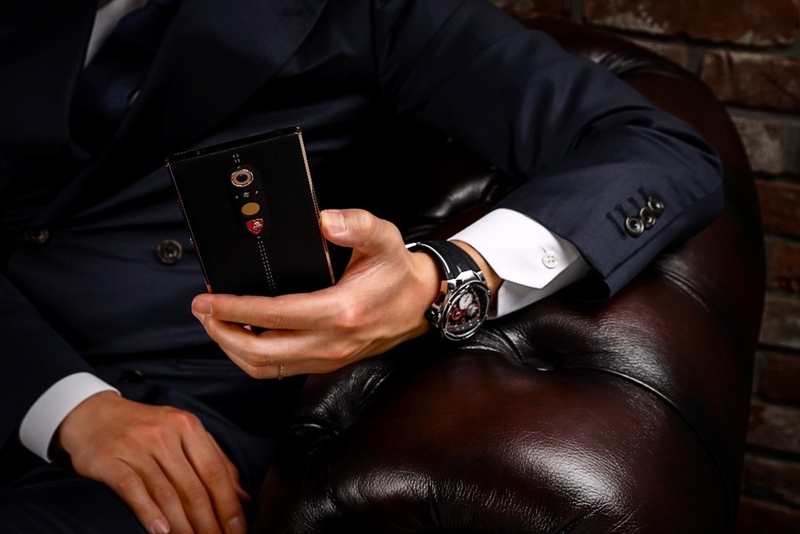 It may come with some thick bezels and lack features such as facial recognition, but Lamborghini notes that the Alpha-One’s frame boasts the same stronger-than-titanium liquid metal found in golf club heads, surgical scalpels, and its sports cars. You also get a custom Italian leather accompanying phone case, which definitely justifies that two and a half grand price tag. Ridiculously expensive luxury smartphones are nothing new; Vertu had been making them for years. But the company folded last month following reports of an internal power struggle and mounting debts. If for some reason you do want to buy an Alpha-One, they’re available online, at exclusive luxury store Harrods in the UK, and from multiple retailers across the UAE.